In October 2015, Volvo unveiled the S60 Polestar TC1 race car and announced that it has joined the World Touring Car Championship (WTCC) in a partnership with Cyan Racing. With the 2016 season set to kick off on April 3rd at Circuit Paul Ricard in France, the Swedish automaker revealed it will also supply the championship’s new safety car. The vehicle in question is based on the V60 Polestar unveiled in 2015 and will pace the WTCC for the coming seasons, according to a "new long-term agreement" with the FIA. “Last October we welcomed Polestar’s long-term commitment to the WTCC as a manufacturer. Now we welcome Polestar as the new Official Safety Car partner of the WTCC, an exclusive opportunity which will allow them to promote their extremely safe and high-performing V60 Polestar flagship model around the world,” said François Ribeiro, Head of Eurosport Events, the promoted of the WTCC. Much like all safety cars seen on the track today, the V60 Polestar WTCC is actually a road-going model with minor exterior modifications that include a light bar on the roof, and "Safety Car" and "WTCC" markings on the doors and engine hood. 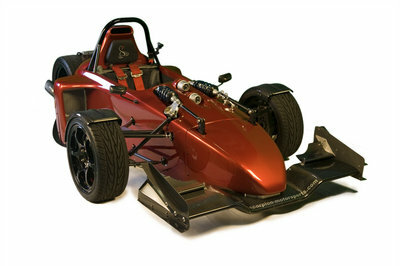 Modifications are more extensive on the inside, where the wagon received a roll cage, rescue and communication equipment, all built to meet the rigorous safety requirements of the FIA and WTCC. 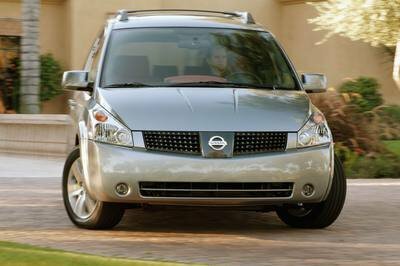 The drivetrain remains unchanged, meaning the wagon uses a 3.0-liter inline-six engine rated at 350 horsepower and 369 pound-feet of torque, a six-speed automatic transmission, and a Haldex all-wheel drive system. The V60 Polestar will lead the WTCC field ahead of the races and will also follow the pack on the opening lap for 12 events in 2016. 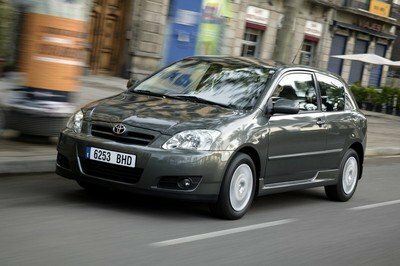 The season begins in early April in France and will end in late November in Qatar. 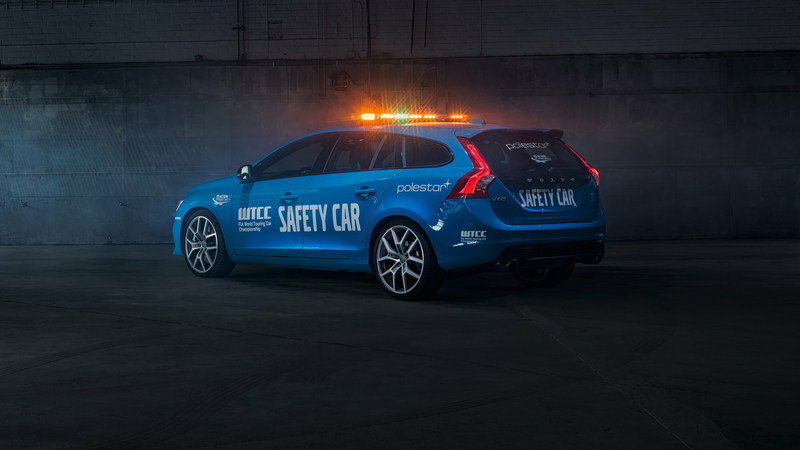 Continue reading to learn more about the Volvo V60 Polestar WTCC Safety Car. 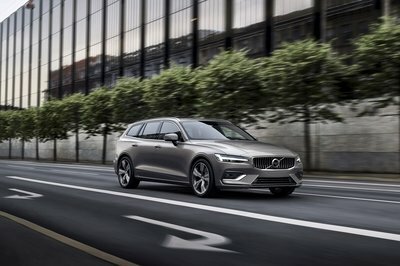 By supplying the World Touring Car Championship with the official safety car for the next few years, Volvo will be able to better showcase the technology behind the V60 Polestar, a wagon that’s not only fast, but also among the safest cars on the market. Throughout the season, the V60 Polestar will pace the WTCC field in 12 countries on four continents, which is a great marketing deal. 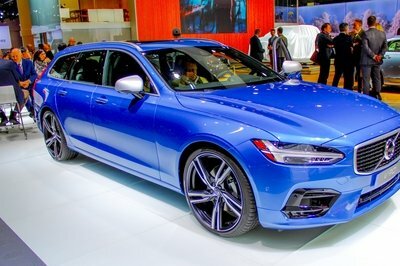 More importantly, Volvo now has two vehicles to show off with help from the WTCC series: the V60 Polestar and the S60 Polestar, which the race cars campaigned by Cyan Racing are based on. 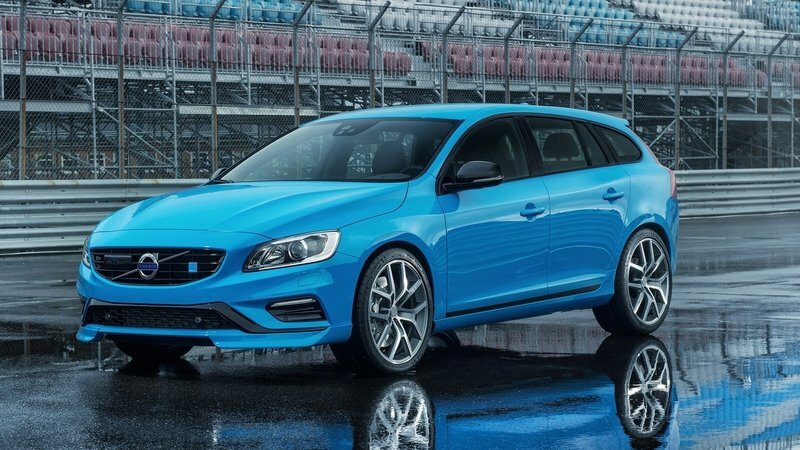 Read our full review on the Volvo V60 Polestar here. 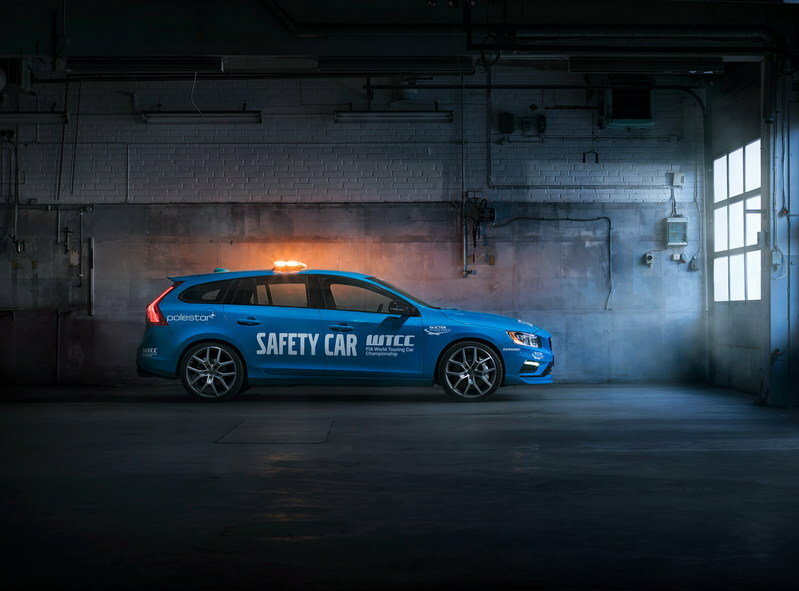 The Volvo V60 Polestar becomes the world’s safest safety car in a new long-term agreement with the FIA World Touring Car Championship, starting in the season-opening WTCC Race of France at Circuit Paul Ricard on April 1-3rd. 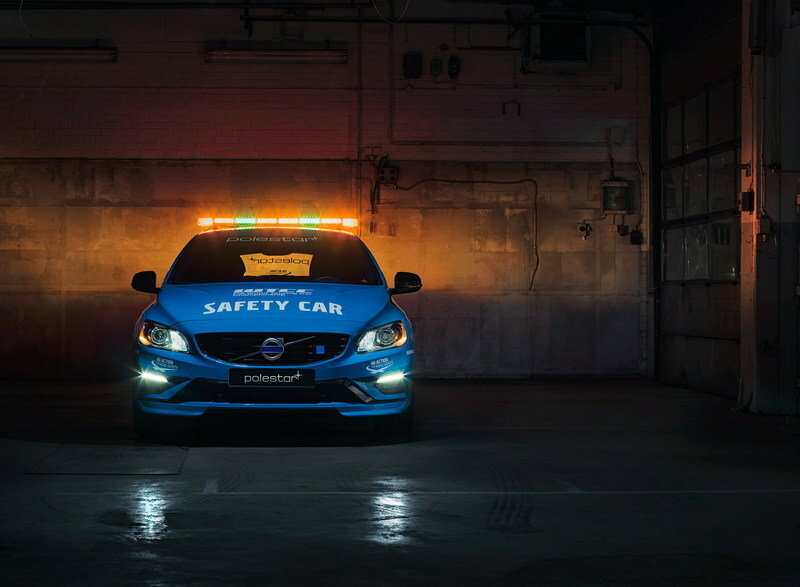 The Volvo V60 Polestar Safety Car is equipped with a roll cage, rescue and communication equipment in order to meet the rigorous technical and safety requirements set by the FIA and WTCC promoter Eurosport Events. “Last October we welcomed Polestar’s long-term commitment to the WTCC as a manufacturer. Now we welcome Polestar as the new Official Safety Car partner of the WTCC, an exclusive opportunity which will allow them to promote their extremely safe and high-performing V60 Polestar flagship model around the world,” said François Ribeiro, Head of Eurosport Events. The WTCC season consists of 12 race weekends on four continents across the world with manufacturers such as Citroën and Honda, in the fight for the prestigious World Title of touring car racing.